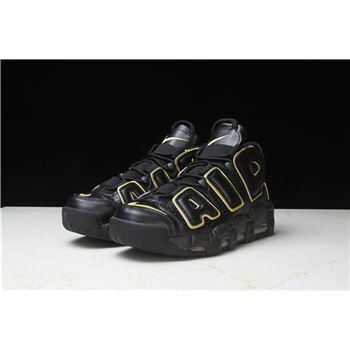 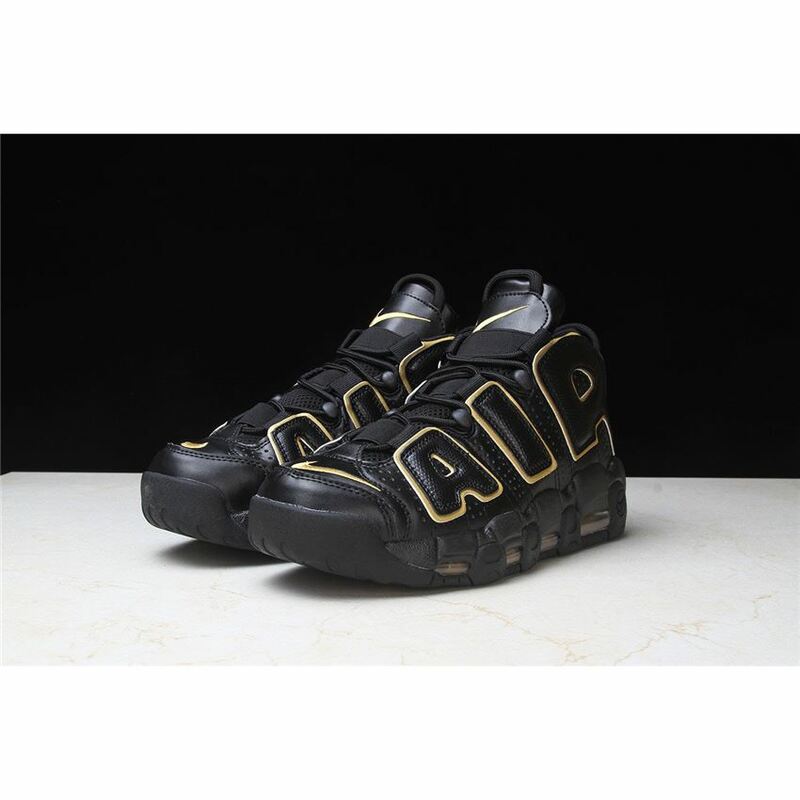 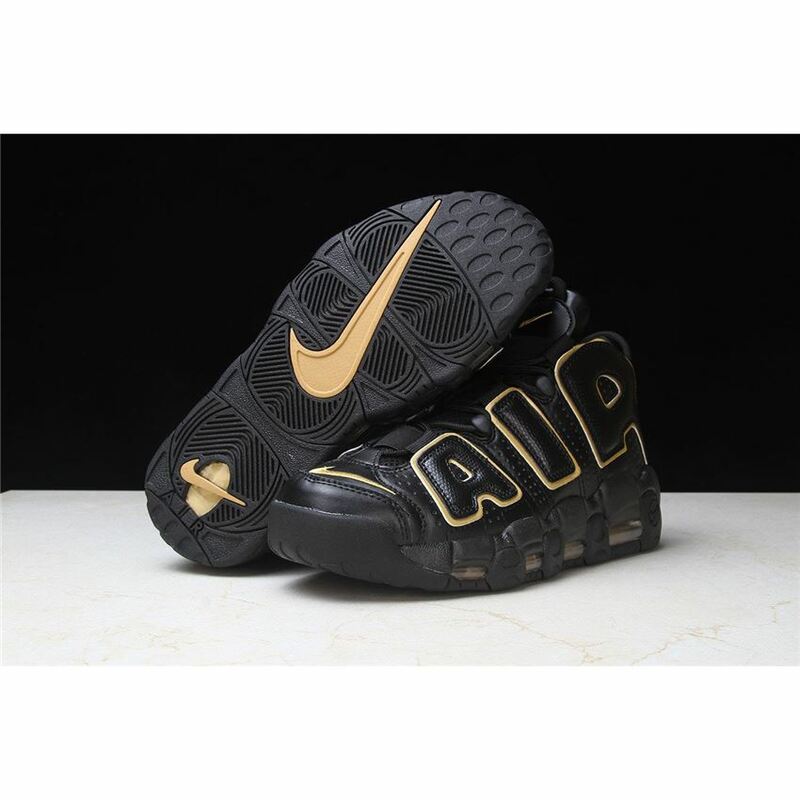 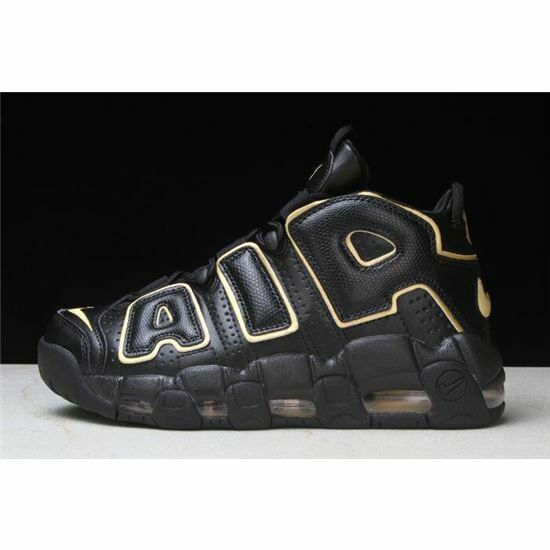 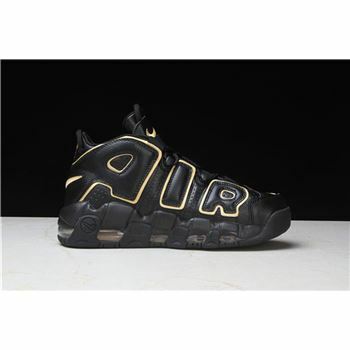 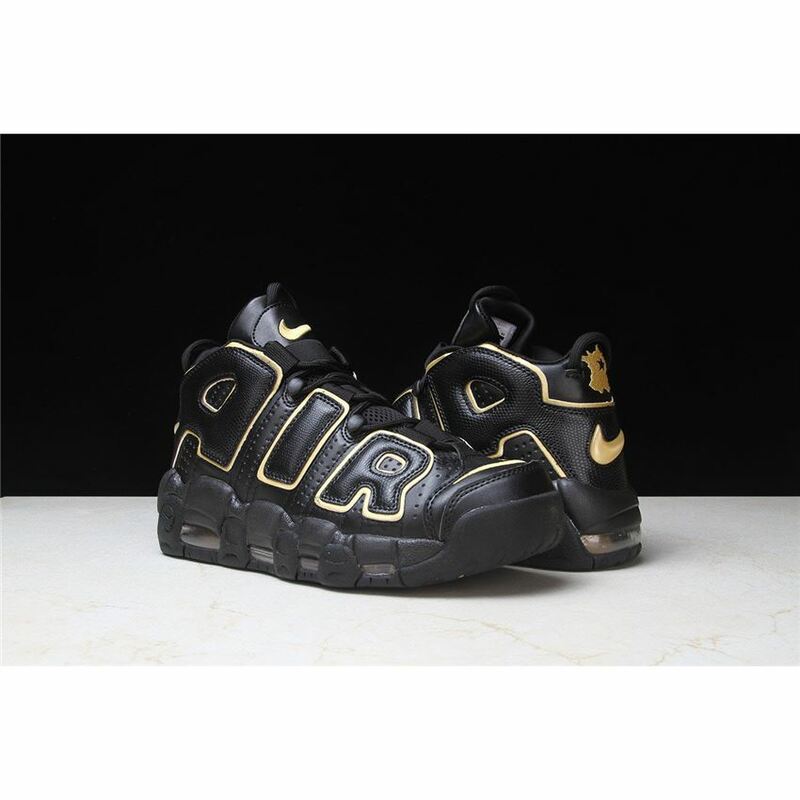 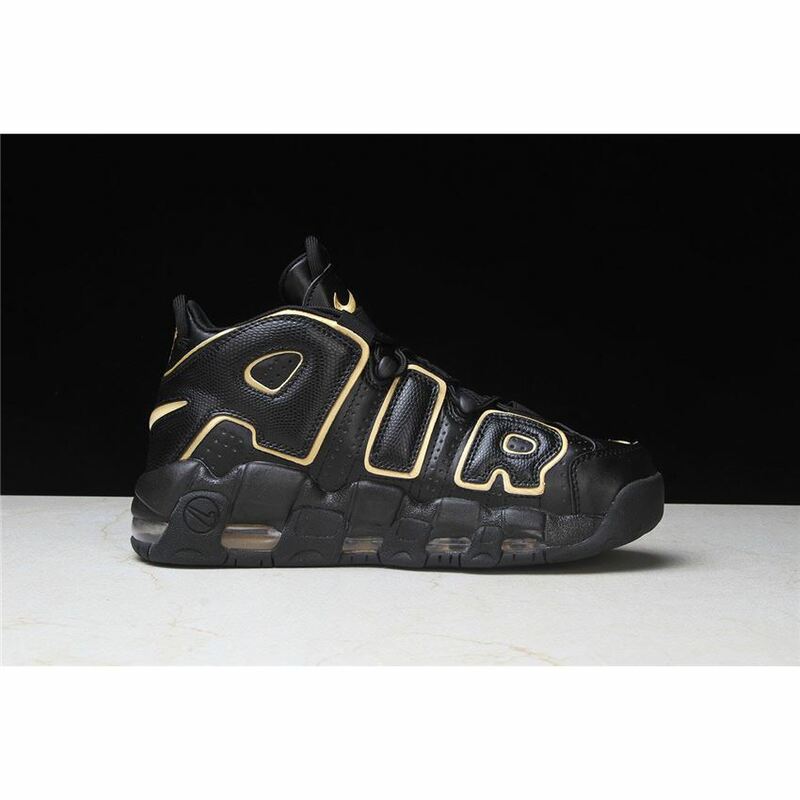 This Nike Uptempo features a Black leather upper with textured overlays on the oversized "AIR" lettering. 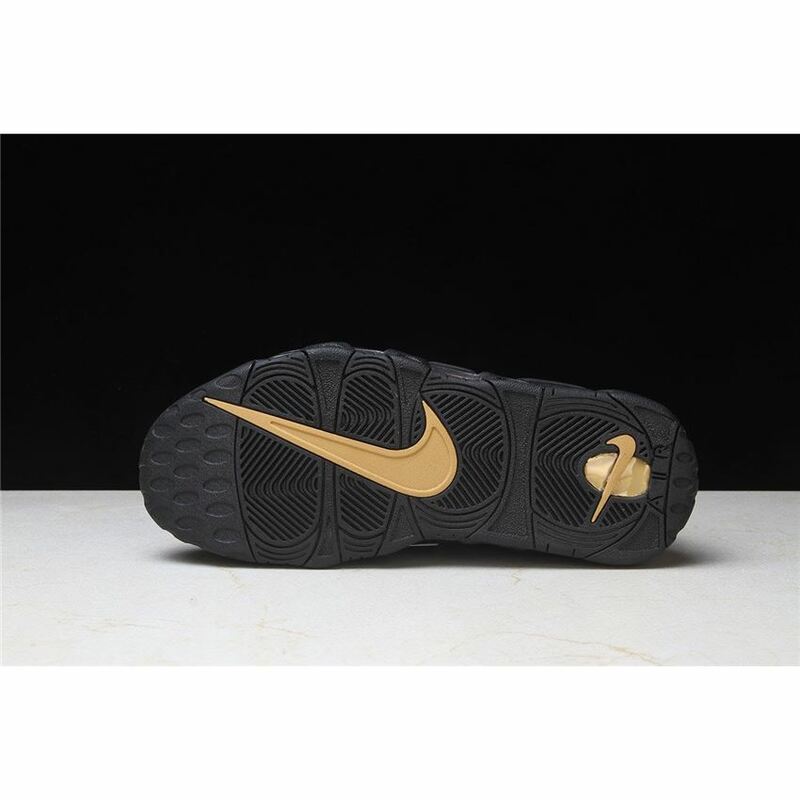 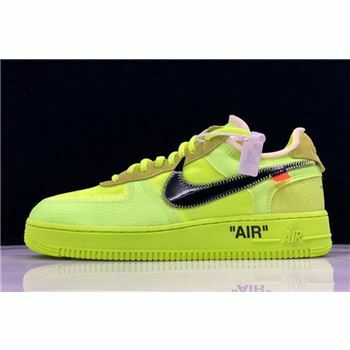 Metallic Gold accents is used on as the outline as well as on the Nike Swoosh and countries logos on the heels. 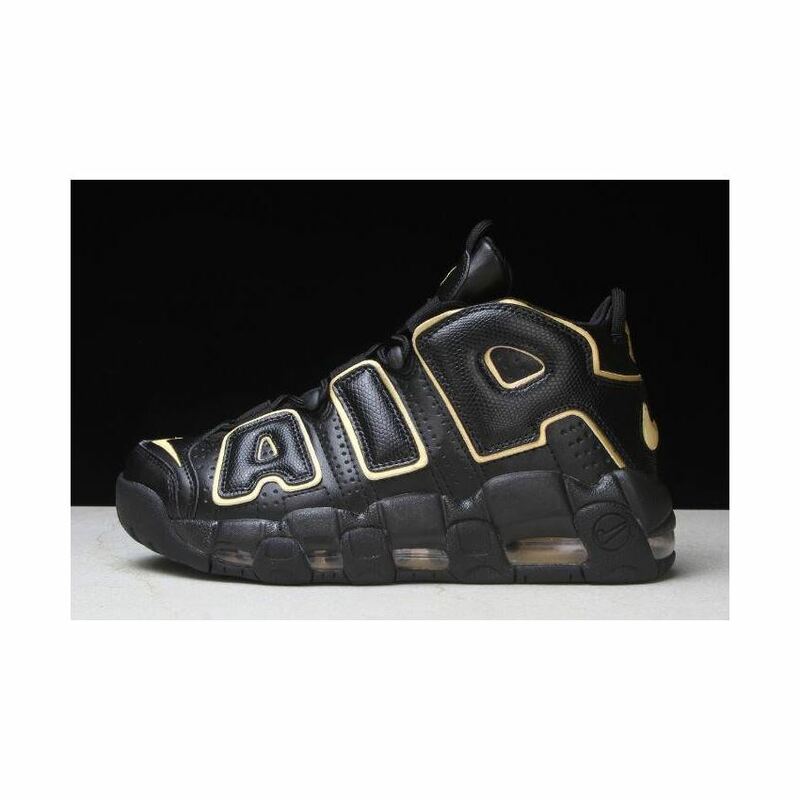 Giving the pair a more premium vibe, the iconic lettering is done in a glossy black snakeskin. 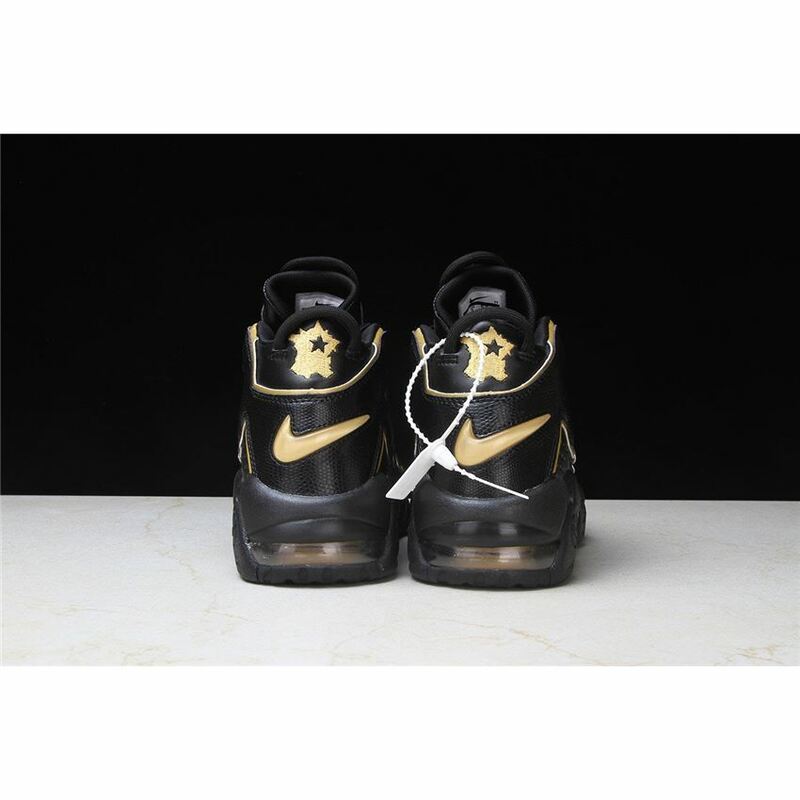 Like the "Italy" iteration, the corresponding country is stitched on the heel in gold. 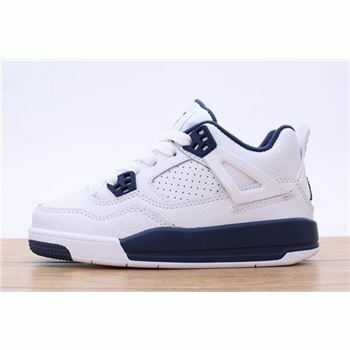 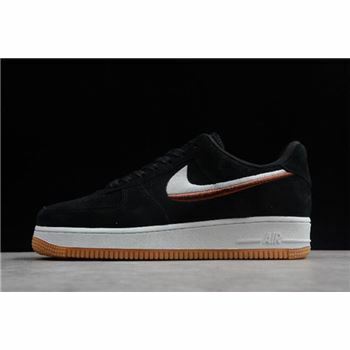 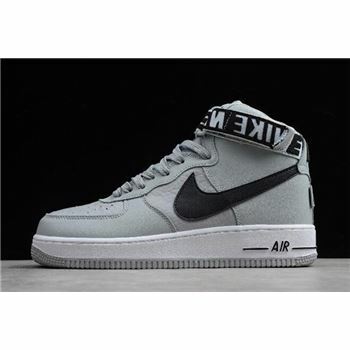 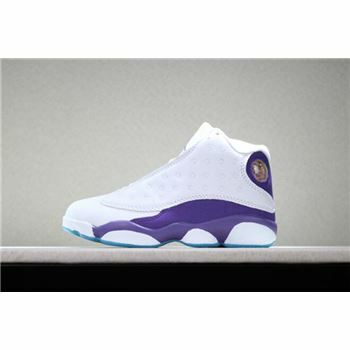 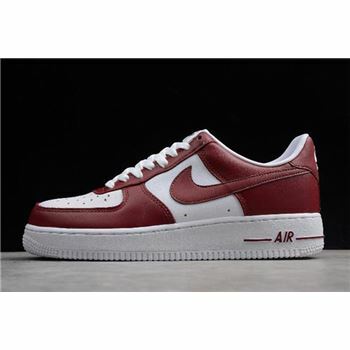 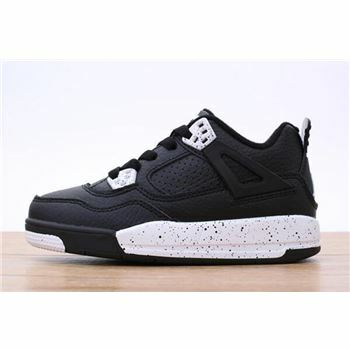 A Black midsole and rubber outsole completes the luxurious design.